Give the purrfect gift to any pet lover! 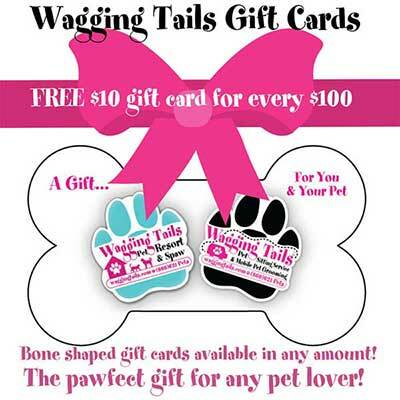 Wagging Tails gift cards are a thoughtful, useful and generous gift for anyone in your life that loves their pet. Our plastic, bone shaped, gift cards are available in ANY amount and can be used for ANY of our services. Buy your gift cards with confidence, knowing that we are a reputable business of more than 25 years in CT. All major credit cards accepted.